Maitena works in the Human Resources area since the begin of her career. She has worked in American, British, Spanish and French companies, becoming the Spanish CHRO of the BNP Paribas Personal Finance office in Spain and General Manager of a food processing company in her early career. 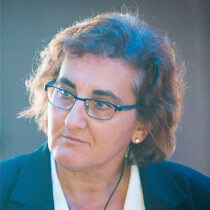 She collaborates as speaker among other organizations with the EIN Business School Aliter in Madrid. Since 2014 she developed a specific project related to the influence and impact of arts to develop the leadership skills and mindset, within the organization. At the moment she is member of the Board of the Lee Hecht Harrison office in Spain, as Head of the Talent Development Practice. She is Senior Coach by the EMCC since 1998. She is bilingual spanish and french and speaks english and portuguese. She also participate in art events as sculptor or painter.